Our products Rubber Bellows and expansion joints in this range are highly flexible components available in wide range of shapes and sizes. We also offer rubber joints. These provide a compact protection for shafts in hydraulic/pneumatic systems for covering of axle joints, as steering boots, shock absorber and protection joints. 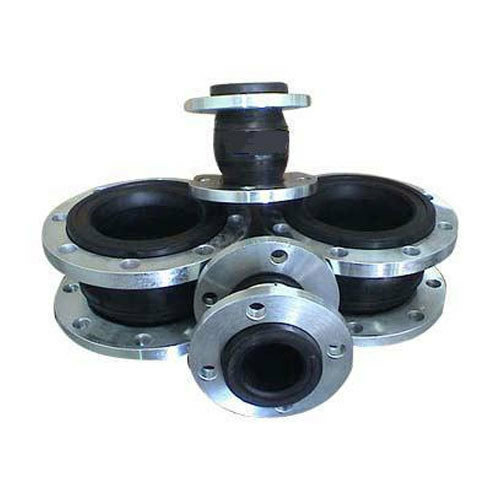 These rubber bellows and joints can be used in pipelines where axial are there. We Creative Elastomers have an industrial Experience and are engaged in offering premium quality range of Rubber Molded and Extruded Products. More are fabricated using finest quality Silicon, Viton, Nitrile, Neoprene E.P.D.M., Polyurethane & other polymers as required by our clients. Due to the diversity in our range we cater to the requisite of numerous industries such as Petrochemical, Defense, Automobile, Textile, Fertilizer Plant and more. Our cutting edge technology and experienced professionals has helped in a smooth production process enhancing a better level of client’s satisfaction. Our well knit and coordinated wide distribution network has further helped us in achieving overseas clients in Europe, Africa, Dubai, USA and Gulf.